The Riverwalk Boardwalk along the St. Lucie River is an excellent place to observe Florida wetlands and the river. 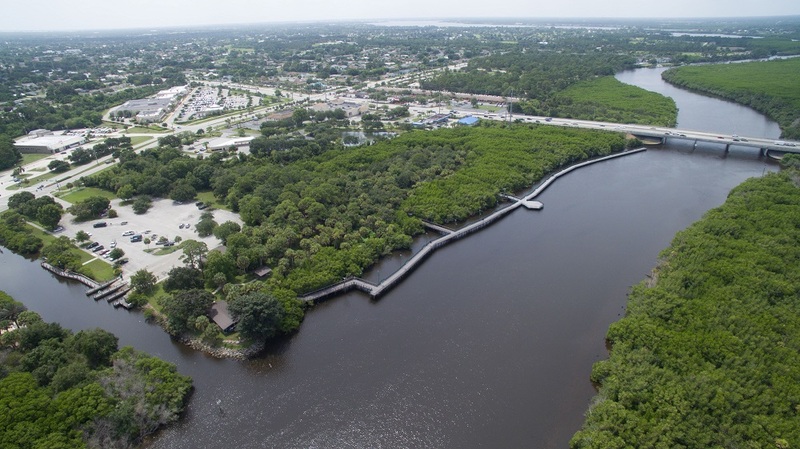 It stretches 2,453 feet from Tom Hooper Park (behind Walgreen’s at Port St. Lucie Boulevard and Veterans Memorial Parkway) to the boat ramps and pavilion at Veterans Park at Rivergate. Two paths lead through hundreds of feet of wooded mangroves to the 10-foot wide boardwalk and the observation deck. The boardwalk is made of recycled materials and includes a solar lighting system and thermoplastic handrails. The boardwalk is a popular fishing spot in the center of town.